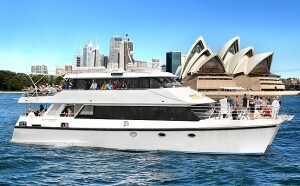 Enjoy the festivities on the Harbour on a boat with your own group. 6pm Air Displays – the sky above Sydney Harbour is the backdrop for air displays by flying ace Matt Hall, that thrill spectators as they anticipate the eventful night ahead. 6.50 pm: Fire Tug Water Display – A Sydney Ports Corporation fire tug blasts tonnes of water into the skies, with the spray creating a striking image against the setting sun. 8pm Air Displays – the sky above again provides the backdrop for the thrills and spill of dynamic air displays. Exclusion zone (for the main centre area of the harbour) come into force, all vessels must be through this area by then. 8.30pm Pylon projections – The Harbour Bridg pylons transform into massive canvases as their surfaces light up with full-size images and videos created specially for the event. 8.40pm Welcome to Country – reflects our respect for Aboriginal and Torres Strait Islander culture their heritage, and living culture. Eucalyptus smoke is released over the water, cleansing Sydney Harbour of any bad spirits. Spectacular images on teh bridge pylons celebrate Eora Country. 9pm Family Fireworks display – The first fireworks allow our littlest spectators, who may nod off a little earlier, the chance to see a fantastic display. 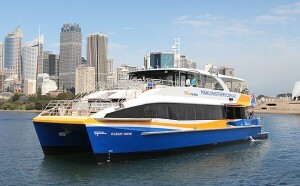 Look out for rockets firing from 4 barges and the Sydney Harbour Bridge. Fireworks director Fortunato Foti will pay tribute to the 200th year of the Royal Botanic Garden and 100 years of Taronga Zoo. 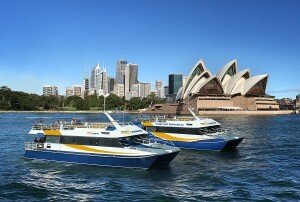 9:15pm Harbour of Light Parade – Sydney Harbour will be illuminated with up 60 ships gliding across the water, enchanting spectators of all ages. 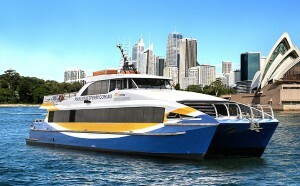 Each vessel will be decorated with cool white ropelight, dazzling the crowds and adding to the unique choreography as they dance in the harbour. Mid Night At the stroke of midnight, we celebrate the start of the new year in spectacular fashion. 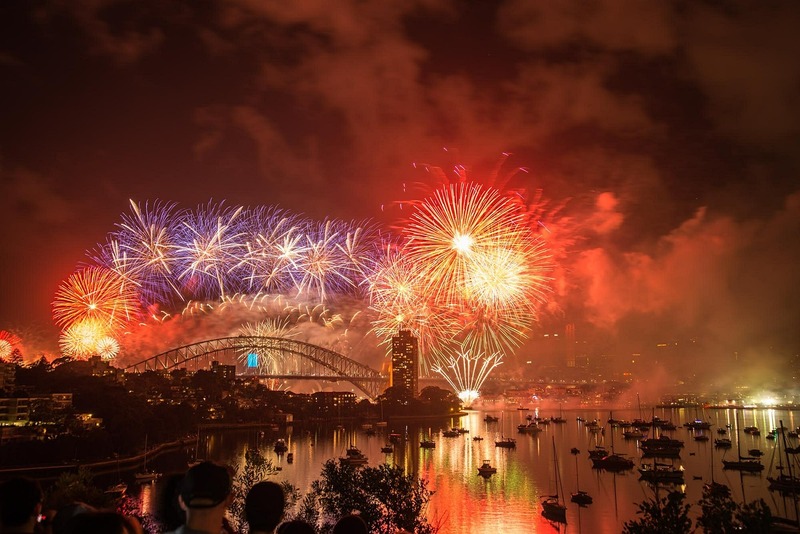 The 12 minute display features a huge range of pyrotechnic effects from 7 barges in the harbour, 4 sails of the Sydney Opera House, and firing points from across the Sydney Harbour Bridge. 1am: Boat exclusion zone lifted, and boats can move freely around the Harbour at low speed. 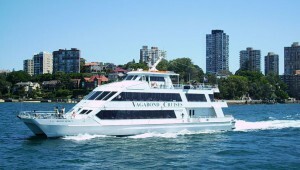 Welcome in the new year with style aboard this luxury cruiser. It has plenty of outdoor space to enjoy the fireworks in style. 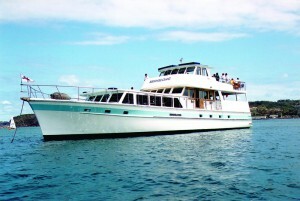 A great luxury style boat with plenty of outside space both forward and aft. 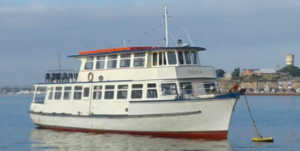 With plenty of outside deck area, you have all the room you need to watch the fireworks, This boat will be cruising in the parade of lights. 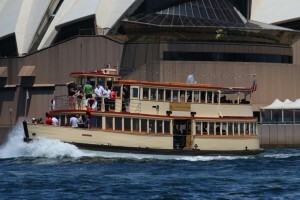 A great classic ferry to experience the Harbour on such a great night. 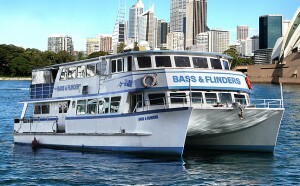 A smaller ferry to experience the buzz of NYE.